The Third Street Saints are back for their most epic game yet! After saving the world and becoming President, your character finds himself at the centre of an alien invasion, and soon after is placed into a Matrix-like simulation of Steelport. This game has had quite the roller coaster of a journey. 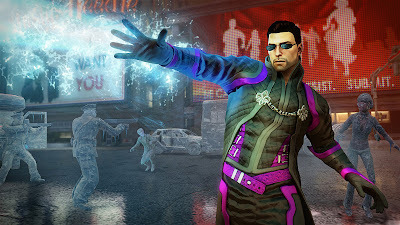 It started out as a standalone expansion for the previous title, Saints Row: The Third, before the decision was made to turn it into the next full instalment in the incredibly popular series. It's future was left hanging in the balance with the fall of THQ, but ultimately it was saved by Koch Media, and now we're on the precipice of the launch. 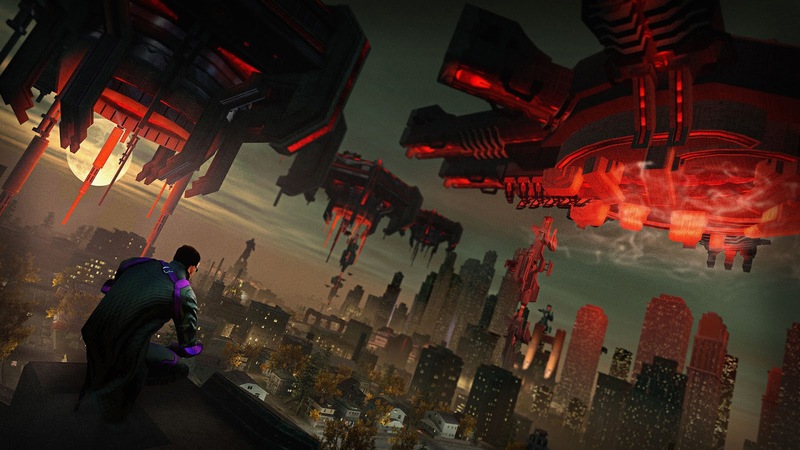 Should you buy Saints Row IV and return to Steelport? Read on for the full verdict. 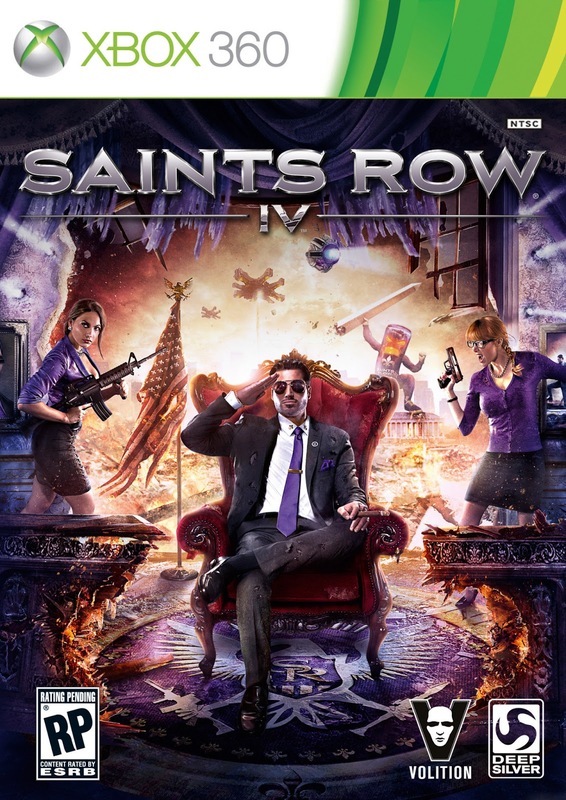 Saints Row IV starts with the leader of the Saints, Pearce and Shaundi, and an MI6 agent named Asha, on a top secret mission to assassinate a terrorist leader, and former leader of STAG, Cyrus Temple. After the deed is done, a nuke is launched and you're the only one who can stop it. So naturally you jump onto the missile and start to climb up, disarming it bit by bit, with Aerosmith's classic ballad, I Don't Wanna Miss A Thing playing in the background. It's just fully loaded with humour, and there are a lot of these moments to look forward to. You'll mainly be spending time in the simulation, but you can exit it to spend time in the real world, which acts as a hub. If you want to take some time out of the main story mode, there is quite a lot to keep you occupied for your duration in Steelport. There are Clusters to collect, which allow you to upgrade your superpowers, and these are literally all over the place; it's easy to spend a couple hours just jumping from building to building, watching your amount of Clusters go up and up. There are also some secret Clusters which are hidden in either walls or on the floor, and these can only be accessed once you have certain powers. It's like Crackdown all again, chasing those pesky Agility orbs. If this isn't enough, you can check out one of the many mini-games available. Insurance Fraud makes a return, and it's definitely the best version yet. Before you ragdoll, you can do a super jump and watch your limp body sailing through the air, before slamming into the ground or a vehicle for massive damage and profits. There are also lots of enemy strongholds, which can be defeated to weaken Zinyak's tyrannical grip on the simulation. If those don't do anything for you, you can try to scale one of the huge towers. Spread around the world are five huge alien towers, which can be climbed and claimed. Do this and not only will you collect Clusters that are generously placed on the tower, but you'll earn an increase to your hourly Cache rate. Cache is the form of currency in the simulated world of Steelport, and it's pretty much exactly the same as the money from Saints Row: The Third. Another way to increase this is to hack stores, which involves a small mini-game in which you must connect parts of a circuit to complete it. It's a nice change of pace and they're very satisfying to complete. Professor Genki is back too! With an all new, superhero related murder game, Mind Over Murder. This involves you picking up cars, Genki heads and even people with your telekinesis, and launching them through various rings to earn points and money! All the while there are guys dressed as various animals, trying to kill you, which really ramps up the intensity of it. There aren't very many instances of this game though, which is the only problem. There's not only an insane amount of variety of things to do outside of the main story, as the main missions are littered with new gameplay mechanics. You'll find yourself flying alien ships, using turrets on that same ship to defend it, taking control of mech suits, playing a top down tank game whilst Kinzie tries to code in the usual 3D view, and so many others. No game has ever done variety like this, you just never know what's going to happen next, and it's one of the reasons Saints Row IV is so memorable and addictive. Steelport is almost the same as it was in Saints Row The Third, but it has been modified in a variety of ways. The empire that you build in The Third is all gone. Every trace of the Saints is gone. No more safe houses, you no longer own any shops and basically anything caused by the Saints is back to normal. It also has some slightly redesigned sections to look a little like Washington DC. You don't get your White House (or as the Saints change the name to, the White Crib), as in this universe, the Saints never existed. The similarities in the city really remind you that this was originally going to be an expansion, and it's furthered when you check out the clothes and hairstyles on offer. It's basically the same wardrobe from Saints Row The Third, with a handful of new additions. Saints Row IV is magnificent. Volition have created their masterpiece. The Saints Row brand of humour and somehow loveable characters has never been more enjoyable, and any game with Nolan North's perfect voice gets my vote. It's definitely the most hilarious game in the series, it's crammed with things to do; main missions, loyalty missions, side missions, Clusters to collect, stores to hack, vehicles to upgrade, characters to dress up and many, many aliens to punch in the balls. Saints Row IV is a must-have title. Not only is it the best game in the series, but it's one of the best open world games that we've been treated to for a long time. If you have a good sense of humour, there is no better game than this.